Will Using Google Glass While Driving Be the Next Big Traffic Violation? We are all aware texting and driving is a bad thing. It distracts drivers, causes accidents and is overall terrible for the safety of drivers. The creation of the smartphone might be even worse for safety than your typical flip phone from a couple of years ago. On smartphones you’re able to get updates from social media, emails and pretty much any other form of communication. Now imagine how detrimental Google Glass is to drivers’ safety. 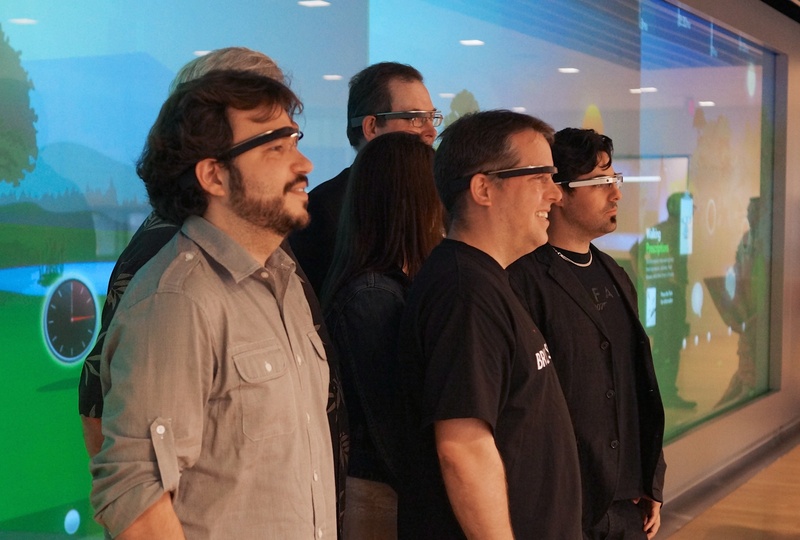 Google Glass is one of the most innovative pieces of technology that we’ve ever seen. It’s a set of glasses that can serve as a monitor for Google hangouts, a video camera, GPS, and a computer, but instead of holding it in your hand, you are wearing it on your head. Not only that, but part of the glasses are impeding your peripheral vision on the right side. Recently, in California, a woman was pulled over for wearing Google Glass while driving. She thought that she shouldn’t have been pulled over or given a ticket since Google Glass can be used as just glasses and not a computer. According to California Vehicle Code Section 27602, “A person shall not drive a motor vehicle if a television receiver, a video monitor or a television or video screen, or any other similar means of visually displaying a television broadcast or video signal that produces entertainment or business applications is operating and is located in the motor vehicle at a point forward of the back of the driver’s seat, or is operating and the monitor, screen, or display is visible to the driver while driving the motor vehicle.” If you were a police officer and you were told to enforce that law, would you give a ticket to someone who is wearing Google Glass? For a police officer, it sounds like it’s a judgement call. Do you pull someone over simply because they are wearing Google Glass, and they could potentially be viewing something that would distract them? Or should you let it slide because there is no way that you can actually prove that they are watching videos? Either way, if you’re trying to avoid getting a ticket, don’t let the police officer make a judgement call. With the latest advancements in technology, our driving has become more and more distracted. iPods, smartphones, and Google Glass all have the ability to distract us and take our focus away from defensive driving. Google Glass, social media updates, text messages and everything else can wait. Safety should always be your first priority. Be safe and the rest will fall into place.